The preface is read by the author, Jimmy Blackmon. Jimmy F. Blackmon writes with a power and hard-hitting honesty that leap out of the audio. He has the respect of the men and women of his brigade and a command of the narrative to tell their story. From pilots of lethal Apache attack helicopters who strike fear in their enemies to the medevac soldiers who risk their lives daily, these are warriors from a variety of backgrounds who learned selflessness and found the closest brotherhood they ever knew through the crucible of war. If you could sum up Pale Horse in three words, what would they be? The members of TF Pale Horse, TF Destroyer, everyone who left a piece of themselves in the N2KL! Thanks for sharing our story. Death Rides a Pale Horse! What made the experience of listening to Pale Horse the most enjoyable? Jimmy's account is amazingly accurate as viewed thru the eyes of a present-day combat commander. As a former cavalry commander, I found Jimmy's account to be amazingly accurate, smooth and thrilling. The men and women of today's Cavalry truly exemplify what is the absolute best about the character of our nation. I wish all our citizens had the Cav guts and panache revealed in this account. 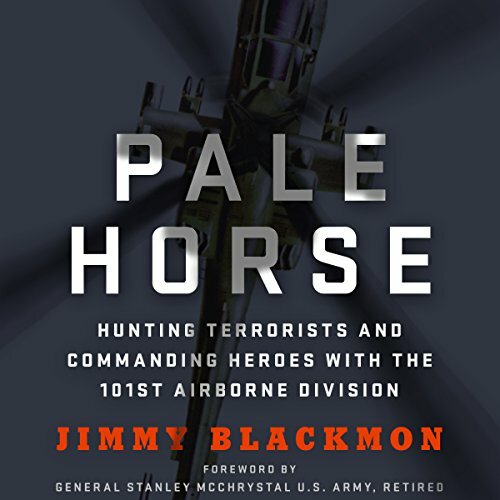 Jimmy finds the right balance between describing present-day combat and the character behind the aviator cavalrymen who fight to support our soldiers. the story was solid and not meandering. it didn't loose me in too much inconsequential back story or side notes. 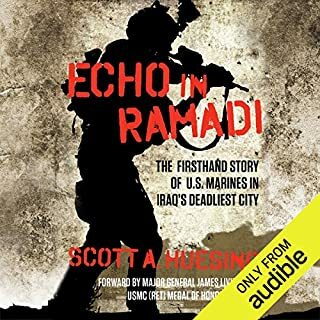 he pretty much gives a summed up experience of the pre deployment and deployment highlights of the busy days ,key players, and big fights during his time in Afghanistan. He sounds like a solid leader who trusted his soldiers to make life and death decisions without micromanagement from his command. I thought he did a great job calling out and giving credit to the soldiers on the ground and in the air who were in his story. the book didn't seem like it was written from the point of view of a selfish person looking to make all the successes his and the failures someone else's. 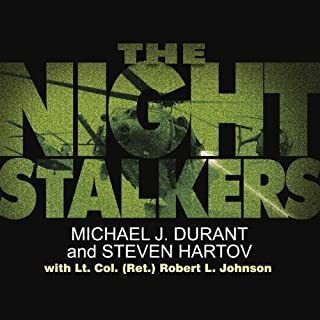 only thing that would have made the book even better would have been for each of the air crews flying the gun ships and medivacs to have told the story of the individual battles and occurrences in their own words but The author does a good job telling their side. you can tell he has done some pretty extensive interviews with them to get the detail be brings to this book. I enjoyed the narration as well. so much of a good audio book depends on it. the best story with a crap narrator is not even listenable for me whereas even a mediocre story with a great voice who puts emotion and inflection into his words can make for an excellent listen. 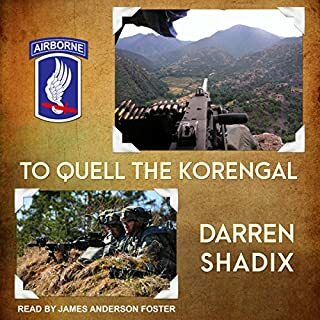 fortunately this audio book has both a compelling story and very good narrator telling it. I've listened to it twice already. Amazing Story! A must read (or listen)! Jimmy Blackmon introduces us to some of our Nation’s finest sons and daughters as he gives a glimpse into the realities of battle. Although the subject is combat, the lessons are about strength of character, and camaraderie, and leadership, and the incredible spirit of our American Soldiers. Powerful insight into combat flying and military leadership. Well narrated and vividly descriptive. A truly remarkable read. well read by the author in a way that makes you feel comfortable even as the rounds are flying. 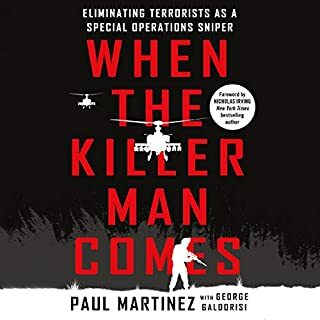 I didn't realize this would tie into a book I had just read and others I'd read before, but it did indeed and created a much better overall picture into this segment of the war in Afghanistan. well written and well narrated. thank you for your service and god bless you sir. 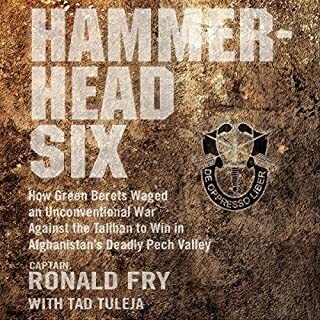 As a former soldier of A co. 563D ASB, 159th CAB, this book made me relive most of that 08-09 deployment in vivid memory. I have had a high level of respect for Col. Blackmon ever since I was a PFC at A co. The entire 159th command staff for that time period was exceptional, for that reason I have many fond memories of my service under them. My deployment to RC East was relatively easy due to those men and women. 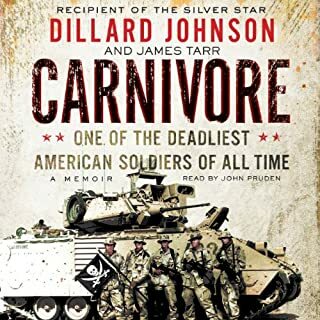 This book was fantastic Colonel! The book starts a little bit slow, but the build up is needed, and it pays off in the end. Blackmon is generous with his praise of the men and women under his command, and does a fantastic job telling the story through their eyes as well as his own. A fantastic book that I would recommend to anyone with an interest in Military History or the modern military, particularly aviation.